Why a Suboxone Intervention – Isn’t Suboxone better than what they’ve been using? Although the substance itself isn’t usually the true problem in terms of recovery, it is important to understand that each substance abused does require a different approach in terms of intervention. A methadone intervention is handled differently than an intervention on an alcoholic. 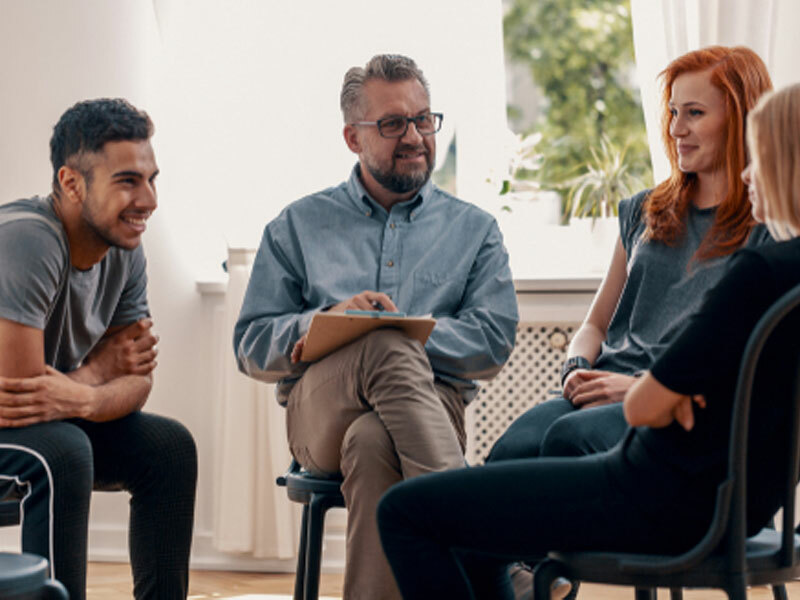 There are many misconceptions about Suboxone, so we have provided a considerable amount of information here to help families to understand the reality of Suboxone as a drug. How often do these words often come from family members who reach out to our sister company, Sober Solutions, that helps family members to find treatment for those who are willing to go? Essentially, Suboxone is a synthetic Opiate. The standard definition of an Opiate is “a medication or illegal drug that is either derived from the opium poppy or that mimics the effect of an Opiate (a synthetic Opiate). Opiate drugs are narcotic sedatives that depress activity of the central nervous system, reduce pain, and induce sleep. Side effects may include oversedation, nausea, and constipation. 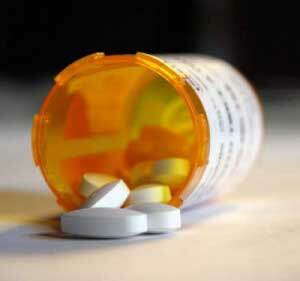 Long- term use of Opiates can produce addiction, and overuse can cause overdose and potentially death.”. During later stages of Opiate addiction, the narcotic effects can actually stimulate the addict, giving him energy and the ability to “face the day”. Over time prolonged Opiate abuse eventually becomes physically addictive and the body itself needs more and more of the drug or else develops severely uncomfortable symptoms. Standard withdrawal symptoms include sleeplessness, anxiety, restlessness, flu-like symptoms, nausea, muscle aches and pains and severe discomfort. The most commonly abused Opiates include Heroin, Methadone, Suboxone, Oxycontin (Oxycodone HCL), Vicodin (Hydrocodone), Morphine, Codeine, Fentanyl, and Opium. Abused for centuries, opium, laudenum and morphine addiction reached its height in the United States in the early 1900â€²s. As a response to the addiction problem, the Bayer Corporation created Heroin to help addicts withdraw off of Opiates. Later, during World War II, Methadone was created to combat morphine addiction. In the late 20th century, Suboxone was created to help addicts to withdraw off of Methadone and Heroin. It is important to understand that each of these substances are classed as Opiates and are addictive and mood altering. Many people make the mistake of substituting Suboxone for Heroin and end up addicted to the Suboxone. The most common cycle of addiction involving Suboxone is a user who begins using Opiates intermittently, then over time becomes physically addicted and begins using daily. Afterward, there is a 60% likelihood of becoming an IV drug user within 3 years. Eventually, as an attempt to stop using the Opiates, the user switches to Suboxone and becomes addicted to it. Most end up quitting the Suboxone and end up switching back to their primary drug of choice. It is important to understand that statistically, less than 1% of Opiate addicts quit using without the aid of some form of intervention or treatment. Is a Suboxone Intervention Necessary if They Don’t Get High? Depends on who you ask. Most Heroin addicts will say no. Others will say yes. A good analogy would be to ask an active alcoholic who drinks a bottle of whiskey every day if beer gets you drunk. They would probably laugh and say no. Suboxone is a what is called a “partial agonist”. An “agonist” is something that stimulates a receptor within the body in a way that mimics a natural existing chemical within the body. A full agonist such as Heroin greatly stimulates the receptors. In other words, you get really high. A partial agonist such as Suboxone technically does get you high, however, it is at a level much lower than other full agonists. Also, most people who use it have such a tolerance towards their primary drug of choice that they can’t feel Suboxone’s effects comparatively speaking. However, take a layman who doesn’t abuse any drugs or alcohol and give them a Suboxone tablet and ask them if they are getting high. Their answer would be a resounding (or mumbled) “yes”. In addition, the reason that most people in Narcotics Anonymous do not consider someone clean sober who is taking Suboxone or Methadone is that they, the recovering drug users themselves, consider it a mood-altering drug. Suboxone is not viewed in the same category as aspirin, insulin, or vitamins. For some, Suboxone keeps them from using Heroin today. For many others, it is considered another addictive replacement drug and yet another excuse to avoid living life sober. Although originally created to combat opiate addiction, it is interesting to note that Suboxone has similar effects and addictive qualities as do most other opiates. The withdrawal from Suboxone is similar to standard Opiates. In a nutshell, if you use Suboxone to quit using one drug, you very well may find yourself addicted to another addictive substance which is almost as difficult to withdraw from. A terrible situation for anyone to be in. Suboxone, along with Methadone, Subutex, and Antabuse is one of the variety of drugs that fall into the category of “harm reduction”. The clinical definition of harm reduction is “any program or policy designed to reduce drug-related harm or impact without requiring the cessation of drug use, targeting the individual, the family, community or society”. A few things are important to understand about harm reduction. The first is that it is a “solution” that does not involve stopping using drugs. A progressive concept designed to replace one drug with a “more manageable” drug, harm reduction isn’t actually considered recovery from active addiction. It is not about empowering someone to face life without the use of drugs, it is about giving someone a replacement drug(s) that may be more manageable. An attractive alternative for some addicts because they can continue to use a mood altering substance without having to abstain from all drugs…and of course a doctor prescribes it. The reality of Suboxone is that studies show that 70% of Suboxone users are also polysubstance abusers. In other words, they may have quit their primary “problem” Opiate such as Heroin or Oxycontin, but they are now using Suboxone in addition to marijuana, alcohol, cocaine or most often benzodiazepines. The second thing that is important to understand is that the prime area of harm reduction that it is designed to help is not the individual. From a recovery standpoint, if a person continues to use mood-altering drugs such as Suboxone as a way of handling life situations instead of confronting them sober, he will actually become less able to do so sober. In other words, he will become worse. So, although a Suboxone user is no longer “shooting up his Heroin”, stealing and sharing infected needles, from a recovery standpoint he is actually becoming worse in his addictions. So who is the prime target for harm reduction? Society. To give a Heroin addict who is prostituting herself, stealing and spreading disease an alternative such a doctor prescribed Suboxone decreases the impact on society. The hard cold reality of harm reduction is “yes she will become worse in her addiction from a recovery standpoint, but who cares, as long as she is not stealing from me and you (society)”. It is important that family members of addicts already using or considering Suboxone understand this point. Shortcuts always have their price. The third thing that is important to understand is that many agencies that are permitted to prescribe Suboxone receive some form of financial reimbursement (either directly from the addict or from government funding sources). It is not uncommon for a Suboxone addict to have begun with a relatively low dosage of 30mg/day, with the intentions of “tapering down over time”. Over time the agency raises or even maintains his initial dosage. Any time the addict suggests weaning himself off of the Suboxone, they conveniently advise against this, sometimes even increasing his dosage once more. The unfortunate reality is that, just like a street drug dealer, these agencies have a financially vested interest in keeping an addict on continual doses of Suboxone and their actions often show this. The initial plan for Suboxone was for a 14 day taper down in order for the client to safely detox off their Opiate dependence. Currently, the average length of use for Suboxone users is in excess of a year and climbing. Which of course, now creates a dependence on a new drug, Suboxone. Very rarely do we encounter someone who has chosen Suboxone to be their primary drug of choice. In most cases when families decide to do an intervention on someone for Suboxone, it is in the case where someone had a pre-existing Opiate addiction and has switched over to Suboxone. Although some initial progress was made, it now appears that they are abusing other substances and still exhibiting some of the behaviors that existed when on the primary Opiates. For example, although he has been on Suboxone for months, he is disinclined to look for work, still smokes pot or uses benzo’s, doesn’t handle his responsibilities, and is generally stagnating in life. Perhaps he even promised to be completely off of the Suboxone by now, but continually comes up with “legitimate” reasons why he cannot stop taking the Suboxone. In some cases, he threatens that if he stops taking Suboxone, he “may relapse on the Heroin again and you don’t want that”. Generally speaking, Suboxone interventions are relatively simple to perform with an experienced intervention specialist. Getting an addict to understand that it isn’t the substance involved that is the problem but rather one of the behaviors is usually one of the primary tasks of an interventionist. It isn’t that he is “no longer using Heroin” that we need to focus on, but what he is doing in life right now that matters. Unfortunately, with a true addict who continually uses ANY mood altering substance to handle life, his life will generally stagnate until he learns to confront life without the use of drugs. However, understand that essentially each intervention is unique and after proper analysis and guidance your suboxone intervention specialist will help you to determine when and what is the best approach. Without proper education and guidance families of Suboxone users may find themselves without the proper foundation to ensure long-term recovery of their loved one. There are several other pages that may be of some assistance in helping you to understand your loved one’s Suboxone addiction.